Ludwig von Mises said that there can never be too much of a good theory. 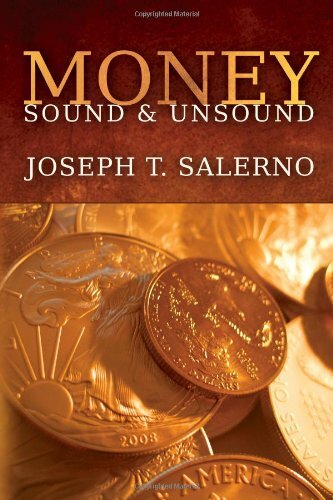 Salerno proves it in this sweeping and nearly comprehensive book on applied Austrian monetary theory. He uses the Mises/Rothbard theory of money to reinterpret historical episodes, reevaluate the history of thought, closely examine the Federal Reserve policy, seek out cause and effect in business cycles, provide a new understanding of war and social unrest, and clarify the relationship between the state and the central bank. Mises shows how money had its origin in the market, and how its value is based on its usefulness as a commodity in exchange. Mises presents the case for sound money with no inflation, and presents the beginnings of a full-scale business cycle theory. Rothbard's famous monetary essay has influenced two generations of economists and business professionals. After presenting the basics of money and banking theory, the author traces the decline of the dollar from the 18th century to the present. A survey of the history of money. This book makes abundantly clear that what we are experiencing today is the exact same situation that has been inflicted over and over again throughout history on the most advanced and powerful civilizations.